The Software Communications Architecture, or SCA, provides a set of specifications “that facilitate portability, interoperability and configurability of the software and hardware components used in the manufacturing of radio systems”. The original technologies for these specifications were developed in the late 1980’s and early 1990’s with the first public release of a consolidated specification occurring through the Forum’s Technical Report Version 1.0 in 1997 as the “Software Radio Architecture (SRA)”. 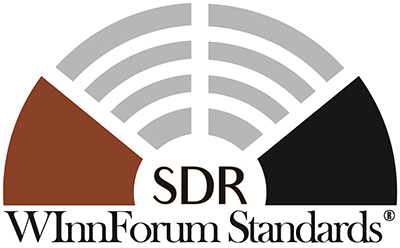 The SRA architecture was matured in the Forum’s Technical Report Version 2.1 entitled ““Architecture and Elements of Software Defined Radio Systems as Related to Standards”, and was further matured by the members of the Modular Software Programmable Radio Consortium (MSRC), working in cooperation with the Forum’s Mobile Working Group into what became the Joint Tactical Radio System Software Communications Architecture (JTRS SCA). The Committee is led by a Steering Group working in collaboration with an Advisory Council to execute on an agreed upon "Coordination Model for International SCA Standards" (Document WINNF-10-R-0018). Following this model, in 2012 the committee participated in the vote by JTRS to approve the SCA 4.0 (formerly SCA Next) specification . Application Backwards Compatibility. This recommendation provides comments on the modifications to SCA 4.0 necessary to support application backwards compatibility with SCA 2.2.2. Naming Conventions. This recommendation proposes changes to the SCA 4.0.1 specification to use a naming convention for the interfaces and components. The goal is to improve readability of the specification. Push Registration Allocation Properties. This recommendation proposes changes to the SCA 4.0.1 specification to support late device registration with the DomainManager. This change will allow the Core Framework to better accommodate Device components with multiple implementations and to manage plug and play devices. Scalable Components. This recommendation proposes changes to the SCA 4.0.1 specification to improve component scalability by allowing component developers to choose whether or not to implement some of the standard sub-component interfaces. The scalability will also be used to support the different profiles of the specification (see figure below). 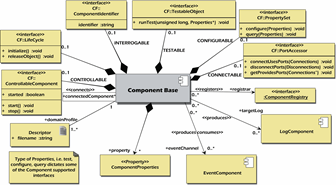 Scalable Manager Components. This recommendation proposes changes to the SCA 4.0.1 specification to add support for scalability of the manager components. This will allow developers to choose whether or not to implement all of the manager interfaces. The manager scalability will also be used to support the different profiles of the specification. WInnF Lw & ULw AEPs. This WInnF SDR Standard defines POSIX AEPs for interaction between SDR Applications and the Operating Environment (OE) in resource constrained architectures (see Figure 4). Two Base AEPs functions groups, the Lightweight (Lw) and the Ultra-Lightweight (ULw), are defined. The documents contains normative content for Base AEPs functions groups plus support sections giving SCA-like contents overview tables and detailed rationale for the design choices. It also provides two function groups that can extend the Base AEPs function as required by the porting assumptions. This WInnF SDR standard harmonizes and improves prior work from JTNC and ESSOR into a single converged solution. WInnF PIM IDL Profiles. This WInnF SDR standard defines Platform Independent Model (PIM) IDL Profiles for the definition of application specific interfaces among SDR components. Two PIM IDL Profiles are defined: the “Full” and the “Ultra-Lightweight” Profiles. The document contains normative content for the defined profiles, a support section with content overview tables and extension perspectives, and a rationale section which explains the design choices. This WInnF SDR standard also harmonizes and improves prior work from JTNC and ESSOR into a single converged solution. A number of artifacts have also been discussed supporting the migration to this new specification, including an SCA 4.1 users guide, a SCA 2.2.2 to SCA 4.1 porting guide and defining industry agreed metrics for measuring waveform portability.